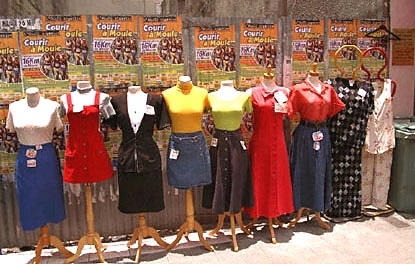 Sidewalk mannequins on display in downtown Point-à-Pitre, Guadeloupe. Whether your travel plans include business meetings, hiking in the rain forest, dancing the night away or simply relaxing on the beach, the appropriate attire is always important. In any tropical destination, your travels will be enhanced if your clothes are designed to make you feel comfortable and look good.